Rising turbulence in the economic environment of organisations in a globalised world enhances the discussion of whether strategic planners should be involved in the strategic decision-making process of organisations. 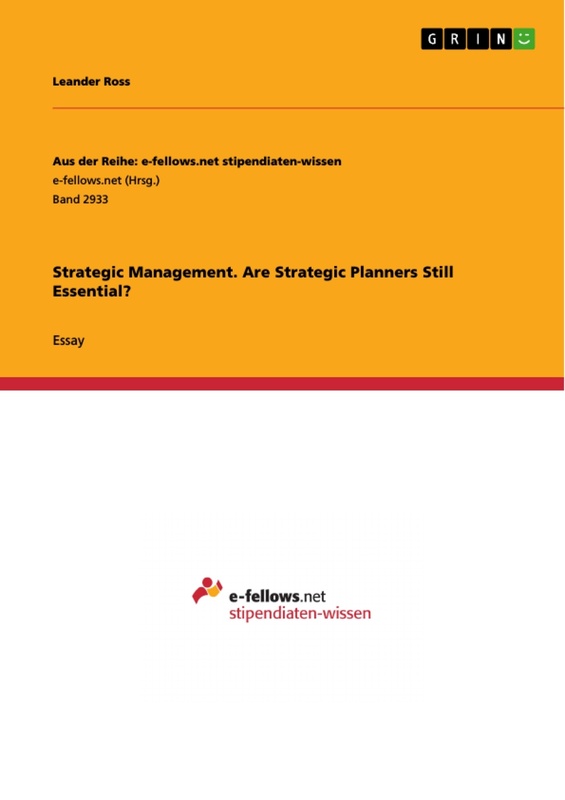 This essay outlines the importance of strategic planners all the more in times of great uncertainty, although there is a number of advantages and disadvantages. In terms of advantages, for example, it helps the management of an organisation by finding emergent strategies, by fostering creativity and by providing a coordination and communication tool. However, in terms of disadvantages, it can stifle flexibility and creativity, and it is questioned whether planning can actually be undertaken when the future is uncertain. 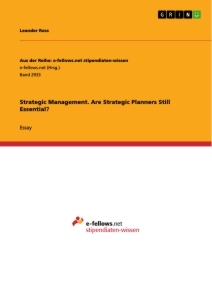 Firstly, this essay defines a number of key terms, then critically discusses the advantages and disadvantages of involving strategic planners in strategic decisions in an uncertain environment, before it finally draws the main challenges and benefits together in a conclusion. Several definitions of strategy have been proposed. According to Chandler (1962) strategy is “the determination of the basic long-term goals and objectives of an enterprise, and the adoption of courses of action and the allocation of resources for carrying out these goals” (p. 13). This early definition has been developed and altered throughout the years, such as by Mintzberg (1987), who stressed the point that strategy is not always determined but sometimes evolves incrementally. In the field of strategic management, this question whether strategy should be ‘deliberate’ or ‘emergent’ is highly debated. Whilst deliberate strategies are intentionally planned, implemented and controlled, emergent strategies evolve out of decisions which form a pattern of behaviour (Campbell, Edgar, & Stonehouse, 2011). Each view contains benefits as well as challenges, both which will be focused on in the discussion. Not only the question of how strategy evolves makes strategic decisions highly complex. Strategic fit, hence the alignment of a firms strategy and its internal and external environment, is also of crucial importance for the long-term survival (Grant, 2013). Furthermore, strategic decision makers have to consider many more variables such as several levels of strategy and their linkage, the expectations of various stakeholders and last but not least risk and uncertainty (Johnson, Whittington, Scholes, Angwin, & Regnér, 2017). The field of strategic planning first emerged in the 1960s, a time characterized by a considerably stable economic environment that enabled planners to focus on forecasting, analysing and organisational centralization (Mintzberg, 1994b). In contrast, during recent decades, huge advances in technology, the emergence of newly industrialized countries, and the general rise of a global economy have increased volatility, accelerated the pace of change and heightened the level of turbulence in the economic environment (Chakravarthy, 1997; Grant, 2003). These developments have had radical implications for organisations. In addition to intensifying competitive rivalry, the overall environment has become more and more complex (Chakravarthy, 1997; Hitt, Ireland, & Hoskisson, 2016) and “turbulence is expressed in market related instability such as shorter innovation and production cycles, ever greater product multiplicity and shorter planning horizons” (Harrington, Lawton, & Rajwani, 2005, p. 450). Hence, the traditional strategic planning approaches became increasingly difficult to implement under such uncertainty, a condition defined by the future being unpredictable (Glaister & Falshaw, 1999; Grant, 2003). To begin with, strategic planners do not decide over strategic decisions themselves given that they lack the necessary authority and access to crucial soft data (Mintzberg, 1994b). Nevertheless, strategic planners have the time, the inclination to analyse (Mintzberg, 1994a) and the “formal responsibility for coordinating the strategy process” (Johnson et al., 2017, p. 501). Conventional strategic planners, originating in the relatively stable economic environment of the 1960s, were expected to deliver perfectly elaborated strategies that the managers only had to sign their approval to (Mintzberg, 1994b). Yet, due to increasing turbulence, volatility and competition, this process has undergone a considerable change (Whittington, Yakis-Douglas, Ahn, & Cailluet, 2017). Typically, today the main responsibilities of strategic planners involve gathering information and analysis, acting as an intermediary between the senior and middle management and working on specialised projects (Johnson et al., 2017). 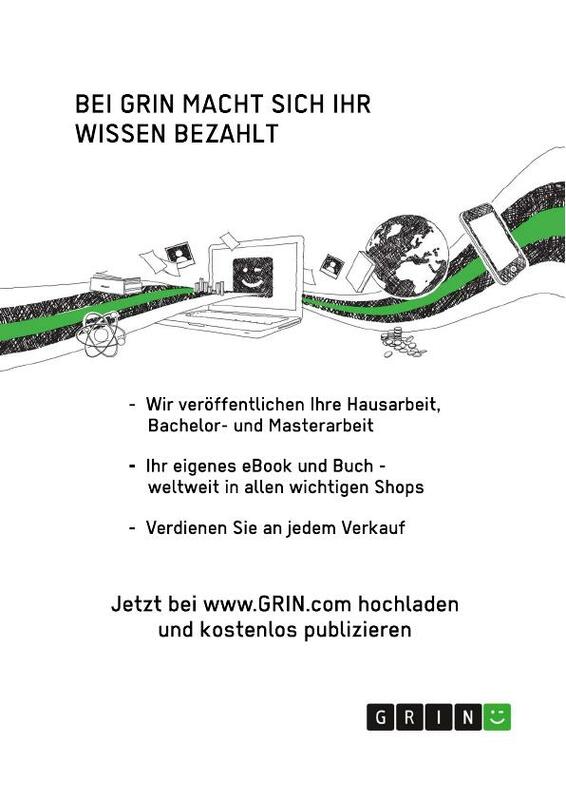 Moreover, according to several authors, a distinction has to be made between strategic ‘planners’, and ‘thinkers’ (Graetz, 2002; Mintzberg, 1994b). More conventional strategic planners “should make their contribution around the strategy-making process rather than inside it” (Mintzberg, 1994b, p. 108). According to Mintzberg (1994b) they should act as strategy finders, analysts and catalysts, hence, ensure that new strategies are found, necessary hard data is included and that managers think about the future in creative ways. In contrast, strategic thinkers are more creative, synthesizing information, seeking strategies in unconventional places and sometimes even becoming involved in the strategy formation (Mintzberg, 1994b). It is widely agreed that both kinds of planners complement each other and therefore are needed in any large organisation, although the number of each, however, depends on the stability of the environment: The more stable, the greater the number of conventional planners that are needed (Mintzberg, 1994b). Chandler (1962) stated that having a strategic plan and someone being responsible for it can be of great benefit for an organisation. Inter alia, a clearly defined and expressed direction can be motivating and persuading, both to internal as well as external stakeholders and hence, helping a company in achieving their goals (Johnson et al., 2017). Moreover, through codification, thus the explicit communication of a strategy, elaboration, meaning decomposition into sub-strategies and conversion, which is the consideration of the organisational change caused by a new strategy, strategic planning helps to communicate and coordinate strategy (Mintzberg, 1994a).  These ideas form part of the deliberate view on how strategies evolve. Thus by having strategic planners who formulate corporate objectives and select and implement them systematically by the use of hard data and frameworks, large organisations are enabled to “organize complex activities and information, align business objectives, set targets against which performance can be evaluated, and generally increase the degree of control” (Campbell et al., 2011, pp. 17–18).